Background: Monoamine oxidase inhibitors are potential drug candidates within therapeutics of different neuropsychological and neurodegenerative disorders including anxiety, depression and Parkinson’s disease. Objective: We investigated the MAO inhibitory effects of the umbelliferone based derivatives for the treatment of neurological disorders. The potential antioxidant effects of the derivatives were evaluated by DPPH and H2O2 scavenging methods. Method: A series of different umbelliferone derivatives was designed and synthesized, and the derivatives were screened for hMAO-A and hMAO-B inhibition. Moreover, the mechanistic insight for enzyme- compound infractions was achieved by docking simulation. The antioxidant potential was dually assessed by two spectrophotometric titrations methods. Results: Compound 5 with bromo 5-bromo-isatin exhibited a remarkable hMAO-A inhibitory potential (7.473±0.035 µM and the selectivity index of 0.14) revealing the impact of hybrid coumarin and 5- bromo-2-oxoindolin-3-yl ring with hydrazine linker on the hMAO-A active site. Compound 13 exhibited significant hMAO-B inhibition with an IC50 value of 10.32±0.044µM with an exceptional selectivity index of 8.55. 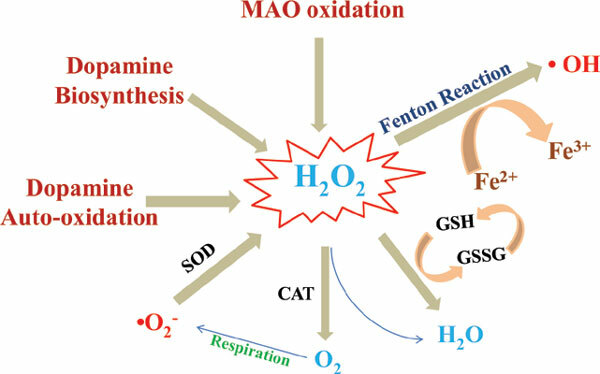 Incorporation of 2-hydroxy-2-phenylacetate moiety on 2-oxo-2H-chromen ring led the important binding infractions within the hMAO active site. Conclusion: Our findings revealed a good correlation between experimental MAO inhibition and docking score by computational studies. Notably, the compounds with remarkable MAO inhibitory potential were also observed as potential antioxidants. Keywords: Neuropsychological implications, Neurodegenerative disorders, Monoamine oxidase, In silico drug design, Umbelliferone derivatives, Oxidative stress, Radical scavenging action. Keywords:Neuropsychological implications, Neurodegenerative disorders, Monoamine oxidase, In silico drug design, Umbelliferone derivatives, Oxidative stress, Radical scavenging action. Abstract:Background: Monoamine oxidase inhibitors are potential drug candidates within therapeutics of different neuropsychological and neurodegenerative disorders including anxiety, depression and Parkinson’s disease.